The present study aimed to determine the phenolic content, total antioxidant status (TAS), total oxidant status (TOS) and oxidative stress index (OSI) of Terfezia boudieri Chatin, known as truffle mushroom. In this context, phenolic content was determined with an HPLC device. TAS, TOS and OSI were determined with Rel Assay kits. As a result of the conducted analyses, 30.89 ppm gallic acid, 554.64 ppm syringic acid and 5.52 ppm hydroxybenzoic acid were determined in the mushroom. It was determined that TAS value was 2.332 ± 0.034, TOS value was 26.945 ± 0.144 and OSI value was 1.156 ± 0.011. It was suggested to avoid excessive consumption of mushrooms collected in this region due to the high TOS value. It was also considered that samples collected in appropriate regions could be consumed as a good antioxidant source based on the determined OSI. Valentão, P., Lopes, G., Valente, M., Barbosa, P., Andrade, P. B., Silva, B. M, Baptista, P. and Seabra, R. M. “Quantitation of nine organic acids in wild mushrooms”, Journal of Agricultural and Food Chemistry, 53(9): 3626-3630, (2005). Abuajah, C. I., Ogbonna, A. C. and Osuji, C. M. “Functional components and medicinal properties of food: a review”, Journal of food science and technology, 52(5): 2522-2529, (2015). Younesi, E. and Ayseli, M. T. “An integrated systems-based model for substantiation of health claims in functional food development”, Trends in Food Science & Technology, 41(1): 95-100, (2015). Turkoglu, A., Duru, M. E., Mercan, N., Kivrak, I. and Gezer, K. ‘‘Antioxidant and antimicrobial activities of Laetiporus sulphureus (Bull.) Murrill’’, Food Chemistry, 101(1): 267-273, (2007). Toledo, C. V., Barroetaveña, C., Fernandes, Â., Barros, L. and Ferreira, I. C. ‘‘Chemical and antioxidant properties of wild edible mushrooms from native Nothofagus spp. Forest, Argentina’’, Molecules, 21(9): 1201, (2016). Mau, J. L., Lin, H. C. and Song, S.F. ‘‘Antioxidant properties of several specialty mushrooms’’, Food Research International, 35(6):519-526, (2002). Yang, J. H., Lin, H. C. and Mau, J. L. ‘‘Antioxidant properties of several commercial mushrooms’’, Food chemistry, 77(2):229-235, (2002). Lindequist, U., Niedermeyer, T. H., and Jülich, W. D. ‘‘The pharmacological potential of mushrooms’’, Evidence-Based Complementary and Alternative Medicine, 2(3): 285-299, (2005). Chowdhury, M. M. H., Kubra, K. and Ahmed, S. R. ‘‘Screening of antimicrobial, antioxidant properties and bioactive compounds of some edible mushrooms cultivated in Bangladesh’’, Annals of clinical microbiology and antimicrobials, 14(1): 8, (2015). Acharya, K., Ghosh, S., Khatua, S. and Mitra, P. ‘‘Pharmacognostic standardization and antioxidant capacity of an edible mushroom Laetiporus sulphureus’’, Journal für Verbraucherschutz und Lebensmittelsicherheit, 11(1):33–42, (2016). Pasdaran, A., Delazar, A., Ayatollahi, S. A. and Pasdaran, A. ‘‘Chemical composition and biological activities of methanolic extract of Scrophularia oxysepala Boiss’’, Iranian journal of pharmaceutical research: IJPR, 16(1): 338, (2017). Erel, O. ‘‘A novel automated direct measurement method for total antioxidant capacity using a new generation, more stable ABTS radical cation’’, Clinical biochemistry, 37(4):277-285, (2004). Erel, O. ‘‘A new automated colorimetric method for measuring total oxidant status’’ Clinical biochemistry, 38(12):1103-1111, (2005). Caponio, F., Alloggio, V. and Gomes, T. ‘‘Phenolic Compounds of Virgin Olive Oil: Influence of Paste Preparation Techniques’’, Food Chemistry, 64:203-209, (1999). Yen, G. C., Duh, P. D., & Tsai, H. L. (2002). ‘‘Antioxidant and pro-oxidant properties of ascorbic acid and gallic acid’’, Food chemistry, 79(3), 307-313. Locatelli, C., Filippin-Monteiro, F. B., Centa, A. and Creczinsky-Pasa, T. B. ‘‘Antioxidant, antitumoral and anti-inflammatory activities of gallic acid’’, Handbook on Gallic Acid: Natural Occurrences, Antioxidant Properties and Health Implications, (4th Ed.). Nova Publishers, 1-23, (2013). Rocha, L., Melo, A., Paula, S., Nobre, S. and Abreu, I. ‘‘Gallic acid as the major antioxidant in pequi (Caryocar brasiliense Camb.) fruit peel’’, Revista Brasileira de Plantas Medicinais, 17(4): 592-598, (2015). Cikman, O., Soylemez, O., Ozkan, O. F., Kiraz, H. A., Sayar, I., Ademoglu, S., Taysi, S. and Karaayvaz, M. ‘‘Antioxidant Activity of Syringic Acid Prevents Oxidative Stress in l-arginine–Induced Acute Pancreatitis: An Experimental Study on Rats’’, International surgery, 100(5): 891-896, (2015). Farhoosh, R., Johnny, S., Asnaashari, M., Molaahmadibahraseman, N. and Sharif, A. ‘‘Structure–antioxidant activity relationships of o-hydroxyl, o-methoxy, and alkyl ester derivatives of p-hydroxybenzoic acid’’, Food chemistry, 194:128-134, (2016). Abourashed, E. A. and Fu, H. W. ‘‘Hydroxybenzoic Acids Are Significant Contributors to the Antioxidant Effect of Borututu Bark, Cochlospermum angolensis Welw. ex Oliv’’, Antioxidants, 6(1): 9, (2017). Dundar, A., Yesil, O. F., Acay, H., Okumus, V., Ozdemir, S. and Yildiz, A. ‘‘Antioxidant properties, chemical composition and nutritional value of Terfezia boudieri (Chatin) from Turkey’’, Revista de Agaroquimica y Tecnologia de Alimentos, 18(4): 317-328, (2012). Dogan, H. H. and Aydin, S. ‘‘Determination of antimicrobial effect, antioxidant activity and phenolic contents of desert truffle in Turkey’’, African Journal of Traditional, Complementary and Alternative Medicines, 10(4): 52-58, (2013). Yildirim, N. C., Turkoglu, S., Yildirim, N. and Kaplan Ince, O. ‘‘Antioxidant properties of wild edible mushroom Pleurotus eryngii collected from Tunceli province of Turkey’’, Digest Journal of Nanomaterials & Biostructures (DJNB), 7(4):1647-1654, (2010). Akgül, H., Sevindik, M., Akata, I., Altuntaş, D., Bal, C. and Doğan, M. ‘‘Macrolepiota procera (Scop.) Singer. Mantarının Ağır Metal İçeriklerinin ve Oksidatif Stres Durumunun Belirlenmesi’’, Süleyman Demirel Üniversitesi Fen Bilimleri Enstitüsü Dergisi, 20(3): 504-508, (2016). Akgül, H., Nur, A. D., Sevindik, M. and Doğan, M. ‘‘Determination of some biological activities of Tricholoma terreum and Coprinus micaceus’’, Artvin Coruh Universitesi Orman Fakultesi Dergisi, 17(2): 158-162, (2016). Avci, E., Cagatay, G., Avci, G.A., Cevher, S.C. and Suicmez, M. ‘‘An Edible Mushroom With Medicinal Significance; Auricularia polytricha’’, Hittite Journal of Science & Engineering, 3(2):111-116, (2016). Sevindik, M., Akgül, H. and Bal, C. ‘‘Determination of Oxidative Stress Status of Ompholatus olearius Gathered from Adana and Antalya Provinces in Turkey’’, Sakarya University Journal of Science, 21(3):324-327, (2017). ISNAD SEVİNDİK, Mustafa , PEHLIVAN, Mustafa , DOGAN, Muhittin , SELAMOGLU, Zeliha . "Phenolic Content and Antioxidant Potential of Terfezia boudieri". 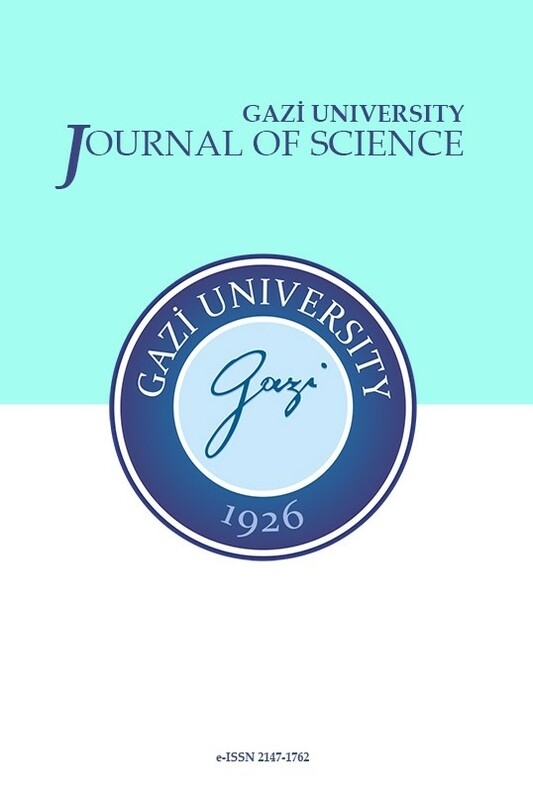 GAZI UNIVERSITY JOURNAL OF SCIENCE 31 / 3 (September 2018): 707-711.